Listen carefully.....Can you hear the clock ticking inside each cell in your body? We are collaborating with Dr. Alexopoulos’ lab on their $4m NIH project to develop scalable clinically-validated treatments to middle-aged and older populations experiencing depression. 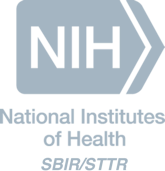 The National Institutes of Health is supporting our development of a behavioral health platform.